Cutting across all market-facing strategic business units and spanning the entire company, our Center of Excellence allows us to better serve our customers from a field-first perspective. 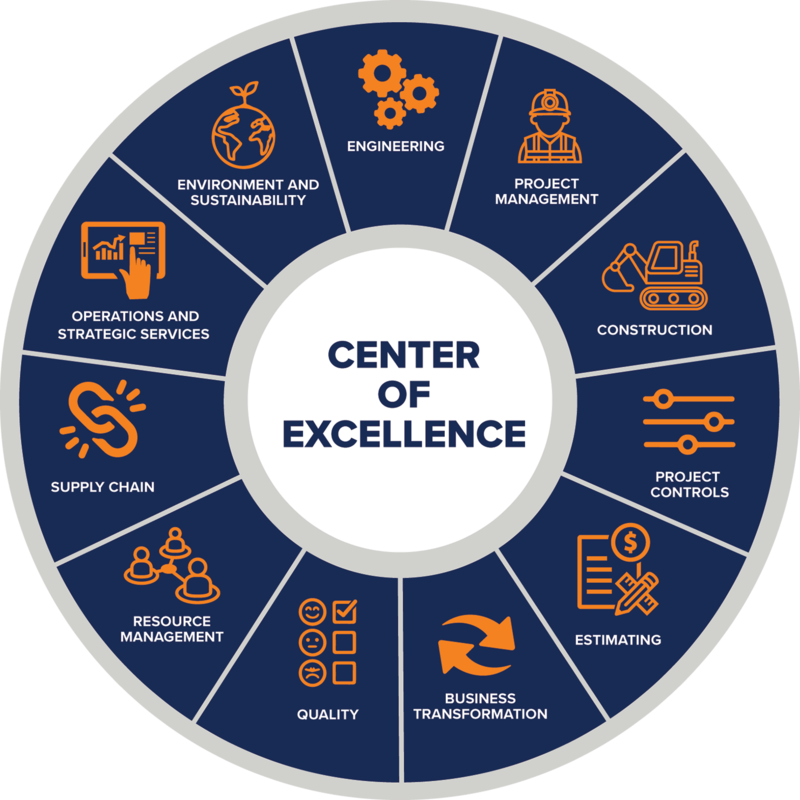 The Center of Excellence (COE) provides agile and fit-for-purpose operational decision making through its collection of subject matter experts in engineering, construction, estimating, supply chain, project management, quality, project controls, resource management, and business transformation. The COE organizational structure allows our clients to benefit from our collective knowledge and expertise by delivering faster and better solutions. The COE works alongside each strategic business unit and provides experienced individuals to collaborate and employ best practices and leverage differentiating technology. The net effect of our optimized workforce management via the COE is minimized customer downtime.